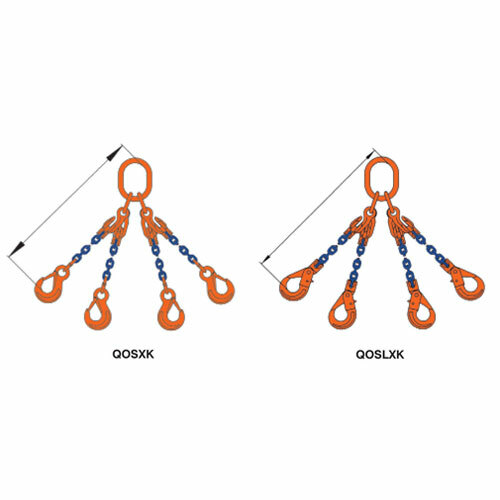 The VXK series of adjustable master links is truly innovative and sleek, and it's most notable with quad leg chain slings. 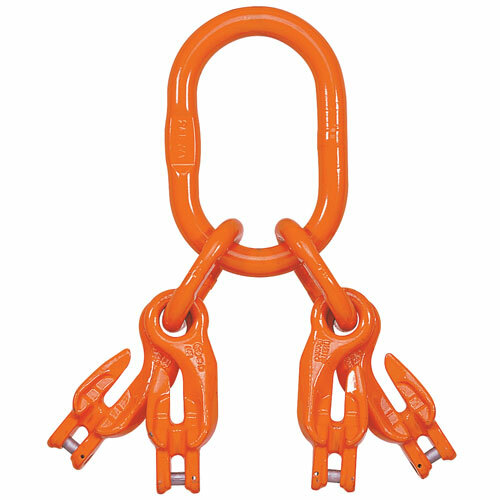 Instead of using multiple coupling links, grab hooks and extra lengths of chain--all of which add to the sling's weight and cost--you can use one master link set that has all of those features integrated right from the factory. Furthermore, you have less mechanical components to inspect. For those that have performed chain slings inspections, you know this is a good thing. This is the new and better way to build a quad leg adjustable sling!